As you can see he may not be but its the closest we can find. His fate was sealed when he decided to chase a screaming Goswinks from the field to the house on Sunday (Pure comedy gold!). He hasn’t shown any real aggression to me – caution maybe but not aggression. We already have a Cockerel – a White Sussex, and a second cockerel was just not practicable – even if they got on we currently do not have enough hens to go round. 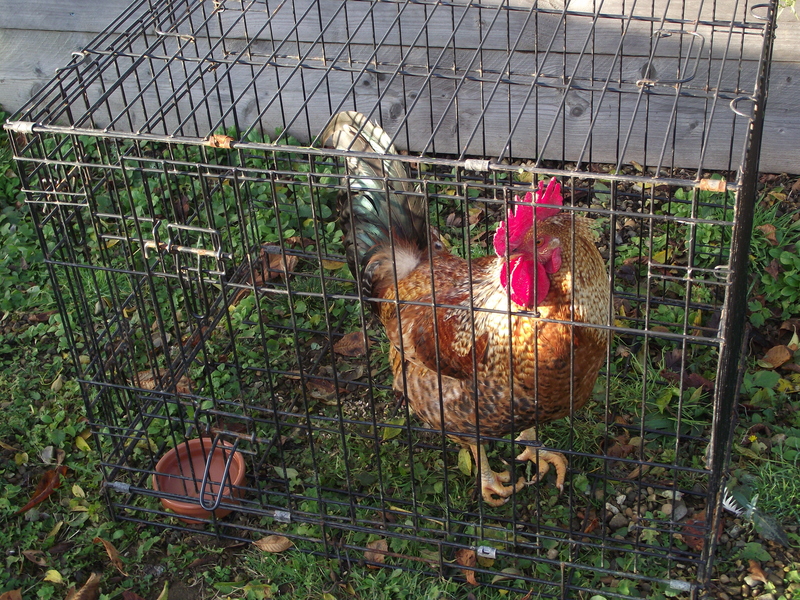 And our cockerel is very good – already beaten off one fox attack and does look after his girls food wise. So we wish good luck to the wanderer! !